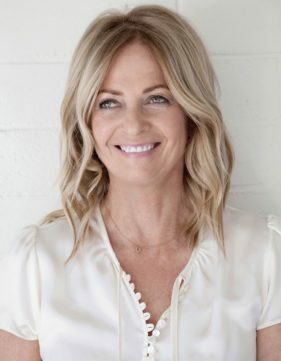 Announcing New Columnist Rachel Ashwell! The founder of Shabby Chic joins Romantic Homes Magazine as a monthly columnist. Today I start a new assignment that I am so excited to share with you: my own little monthly column in this special magazine. Those of you who know me will know I’ve had many platforms over the past three decades to share my Shabby Chic journey. Ten books on the beauty of imperfection, a TV show on the E! channel of my real shabby and chic life—long before reality TV was a thing—and most recently social media and my blogs. I have enjoyed sharing my world of beauty, comfort and function, which has allowed Shabby Chic to stay relevant. Like any long-standing business, I’ve had my share of ups and downs. My children have grown from babies to creative adults and, while the world has changed in leaps and bounds, my values and aesthetics have remained true to my passions. In this month’s issue, my home in California is featured. I have included it in a couple of my books, but when I found out Courtney Allison was the editor of Romantic Homes, I knew it would be a perfect fit. I knew Courtney would reflect my aesthetics true to me. While my aesthetic has evolved over the years, my core always starts with romance. My “nest” is my sanctuary. I’m happy to share all aspects of my home and lifestyle, including the little nooks, crannies and unsung heroes of hidden cabinets and hallways that I choose to give special attention. My new book, My Floral Affair, is launching soon as well. As the title suggests, it’s about flowers, including real and fake as well as printed fabrics, wallpapers and art. I consider myself a flower plopper: I curate flowers and plop them rather effortlessly, typically in a vintage vase. I’m never quite sure how the petals and stems will fall, but somehow nature takes over and all is lovely. Creating this book was an unforgettable experience, and I hope you will enjoy the tips and techniques I’ve learned along the way. Check back next issue for a book review, and signed copies are available on shabbychic.com. Each month, I will cover various subjects, but always things romantic, and somehow I’ll always circle back to home. I truly look forward to connecting with you.